I wrote this comment on an article for Fox News (27 July 2018) written by corrupt non-White immigrant and convicted felon Dinesh D'Souza. The article pretends to defend President Trump from the accusation of being a White Supremacist, by presenting Richard Spencer as a real White Supremacist. My objection is that Dinesh D'Souza is, as usual, misrepresenting things. He misrepresents Richard Spencer and he misrepresents conservatism, rejecting all traditional attributes of conservatism that do not fit his shysterly argument. There are several things about this article that are dishonest. In the first place, Richard Spencer does not call himself a White Supremacist. If you asked him if he subscribed to that label, he would say emphatically no. So, where does Dinesh D'Souza get that Richard Spencer is "a real White Supremacist"? The other big thing is that Dinesh D'Souza's idea of "conservatism" is very skewed. What we call conservatism today is very different from what was called conservatism when National Review was founded in 1955. When National Review was founded, conservatism included Christian morality, but conservatives also supported racial segregation. 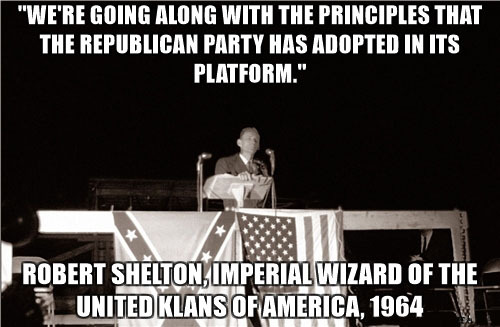 The identification of conservatism with Segregationism changed gradually during the 60s and 70s. By Reagan's time, conservatism had become heavily mingled with traditional LIBERAL ideas, like the infallibility of the free market. The racial motive was still present among conservative voters, but it could no longer be overtly stated. 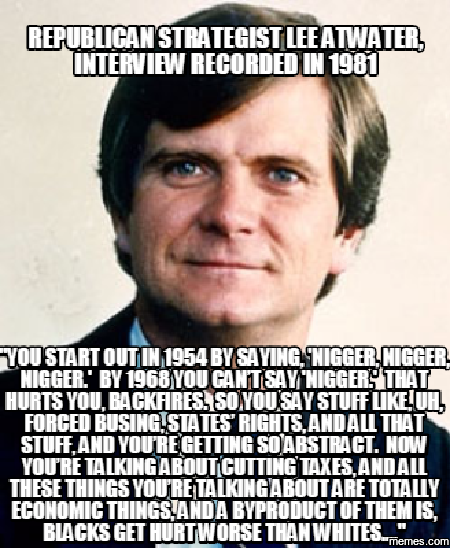 There is an interview where Reagan's campaign strategist Lee Atwater admitted this. Dinesh D'Souza picks out ONLY the LIBERAL parts of what was passing for conservatism in Reagan's day, and pretends that these are the exclusive criteria of conservatism. Particularly absurd is the pretense that non-White immigration is conservative! For Dinesh D'Souza, to be called a "conservative" you must be an old-style liberal. What used to be the conservative position on race and immigration is now a disqualifier. 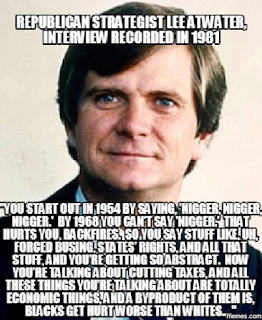 I could also have said something about the fact that there has been, historically, such a thing as conservative socialism, so that the identification of conservatism with less government also is invalid and represents the corruption of conservatism with liberal ideas, but the maximum length for comments would not allow it. I'm glad you posted your comment as an article. I really like your investigations into D'Souza's "shysterly" ways. Fox News wouldn't allow anyone with a real grasp of things to voice an opinion. Fox News is just a lite version of CNN and MSNBC. About your claim, I have no doubt whatsoever. That you can only comment at Fox News through Facebook told me a lot because I was thinking of posting there a link to your article, but I don't do Facebook. I avoid it completely. I will tell you something about Facebook. About three years ago I was forming a local Soldiers Of Odin chapter and was accessing Facebook with a TOR browser(dark web). Facebook promptly locked the account because every time I logged in my location and IPO address continued to change. I have a long time friend(37 years) working for the Federal Government inspecting shipping containers who claims Facebook is monitored by NSA and other government agencies and is on the governments payroll. People in other government agencies have told him this. Notice how Zuckerberg testified in front of congress but not under oath and lied about Facebook's business dealings. Are people so gullible that they think the government wouldn't be watching them when they volunteer their personal lives to be scrutinized for commercial and political gain? Wyatt Kaldenberg said years ago in his newsletter "Pagan Revival", that people are like driftwood on the stream that need a reason to move either to the shore or downstream. Facebook is the tool to make these imbeciles move. I have family members who think little of any warning I might give about Facebook. They believe they don't have anything to hide, so there's no danger in having surveillance on them. They like to share family and baby photos with each other. Personally, I don't think they're very good Americans in that their privacy is of no concern to them whatsoever. It's really good to have first-hand experience with Facebook to know what dangers it poses. In my own experience, it never forgets that I once was a member in the early days. Even seven years later, it knows who I am and it tries to lure me back. I cut every tie possible, but Zuckerberg keeps my information and never deletes it. On a larger scale, Zuckerberg and Facebook are thieves and scammers on their faces. The social network technology known as Facebook was stolen; Zuckerberg didn't invent it. He's merely the front man for a technology that was invented by engineer Michael McKibben. I think that the NSA's arrangement with various social media has been public knowledge for a few years.